Crusade of Fortune takes slot players to a fictional world where ghouls and unholy creatures exist. The game presentation makes use of fiery graphics as five (5) reels go into spinning motions. Apparently, the visual appeal of this game would likely attract slot players who also dabble in battle-themed Role Playing Games (RPGs). Still, the slot centers on completing matched combinations in a selection of twenty (20) paylines as game play. Crusade of Fortune video slot offers chances of winning up to 300,000 coins as top prize in the Main Game and up to 250,000 coins in the Bonus Game. To make it possible for players to attain those reward goals, the Wild, Scatter, and Bonus Symbols appear at random to help players form as many matched payline combinations as possible. An unnamed Female Combatant represents the game's Wild Symbol. Aside from its usual Wild function as alternative to any regular icon, when aiming to complete a matched payline combo, it can also form its own winning combination. The Crusade of Fortune slot pays for at least two (2) Wild icons in an activated payline. It pays the highest at 5,000 coins for five (5) matched Wild symbols. This slot game's Scatter Symbol rewards players not only with coins but also with free spins. 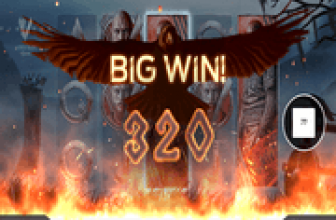 The game does so whenever three or more of the Viking-like warrior icons appear as spin outcomes. The great thing about Scatters is that they do not need to conform to payline patterns. Scatter Pays in the form of coin rewards starts when two (2) Viking Warrior images come into view. Free-Spin rewards of 10, 20, and 30 bet-free spins start with three (3), four (4), and five (5) Viking Warrior Scatter images, respectively. 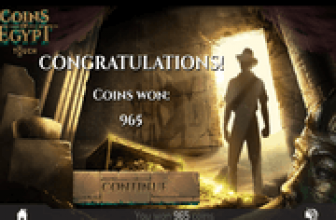 A 3x coin value multiplier applies to all wins achieved during Crusade of Fortune free spin actions. The Female Combatant remains active as a Wild Symbol even in the free round. Moreover, the Viking Warrior Scatter Symbols are still capable of activating another set of bet-free spins following the same Scatter Pay rewards scheme. At the end of the Free-Spins session, all coin rewards will be carried over as additional winnings of the paid spin that set-off the free reel-spinning actions. 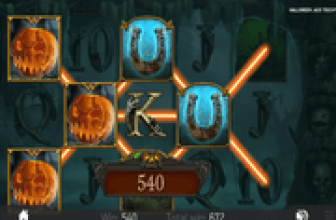 This Bonus Game kicks in when three or more Orc Bonus Game Symbols appear in an enabled payline. Here, bonus game players take on the role of the Female Combatant who will do battle with the Orc. Regardless of the outcome, whether a bonus player succeeds in slaying the Orc, or otherwise defeated by the Orc, bonus players earn coin rewards based on the sword and shield selected during the 3-round mini-RPG interactive Bonus Game. Crusade of Fortune video slot by Net Entertainment tries to tackle both slot playing and interactive role playing game. The experience as far as recreational real money slot play goes is gratifying, but the RPG characters as reel icons make the payline wins seem blurry.